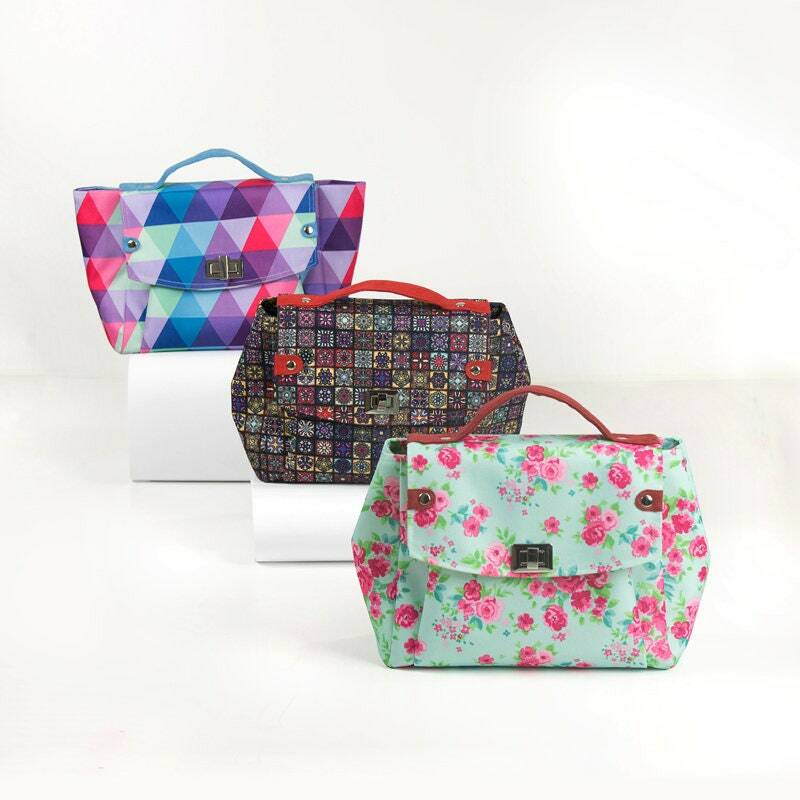 A free PDF handbag sewing pattern from Javeriya Sayeed Siddiqui. A bold and modernized retro-style handbag sewing pattern from Believe Inspire with a top-stitched front exterior pocket with a flap closure, as well as a roomy zippered interior to carry everything you need to go shopping! “Including a magnetic snap into your sewing project is easy. Mallory Donohue of Zede’s Sewing Studio in Columbia, MO, explains how it’s done to get the correct placement of your magnetic snap.” – from Zedes Sewing Studio.